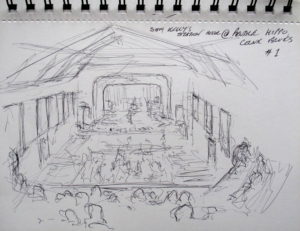 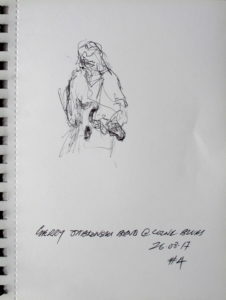 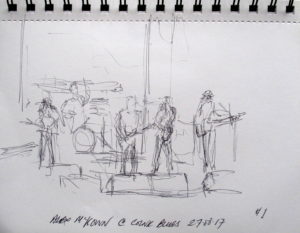 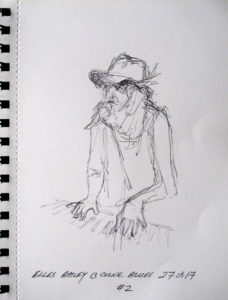 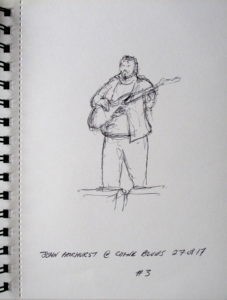 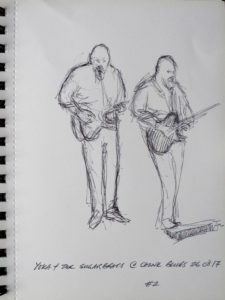 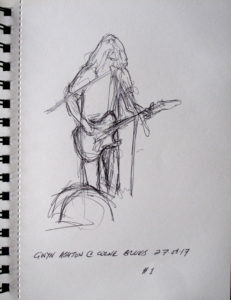 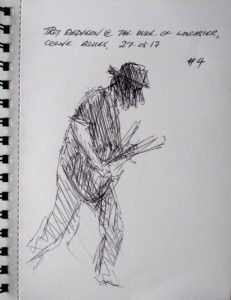 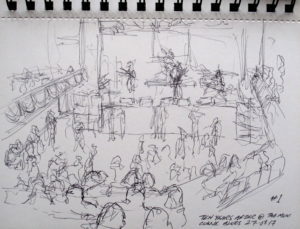 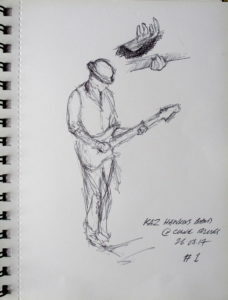 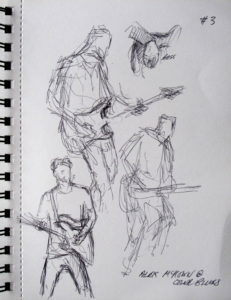 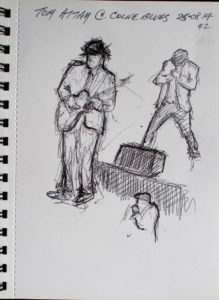 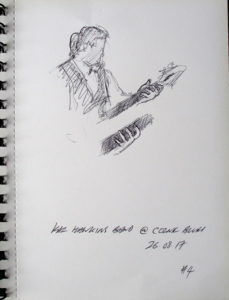 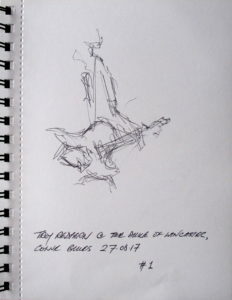 25th August 2017: Here are my sketchbook pages (in no particular order) from Friday’s event at Pendle Hippodrome where Tom Attah & The Bad Man Clan opened the evening, followed by The Lachy Doley Group and the evening was brought to a close by Ian Siegal with his band. 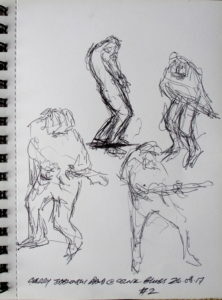 I took over 250 photographs, I committed all sorts of visual and emotional material to memory and I produced the following sketches….I have not yet scrutinised all the material but I’m hopeful that there will be at least one studio painting from 25th! 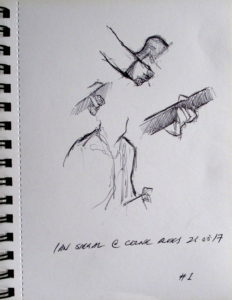 26th August 2017: Lots of sketching done, over 350 photographs taken, my head full of ideas and memories and my heart full of soul! 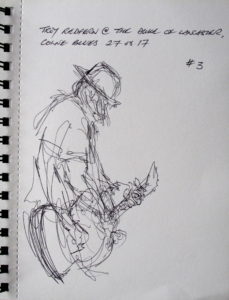 I have so much to consider when I return to the studio…its going to take a long time before I exhaust the material from this Art Residency! 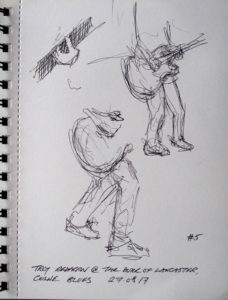 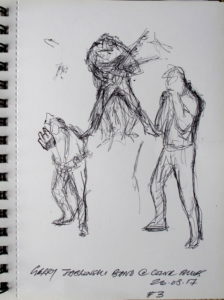 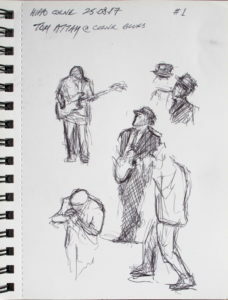 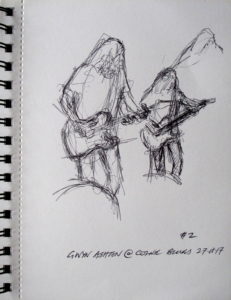 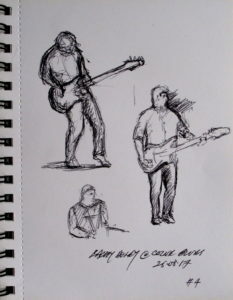 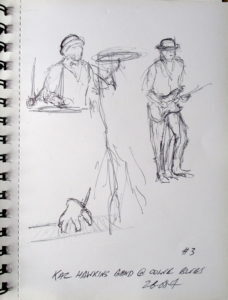 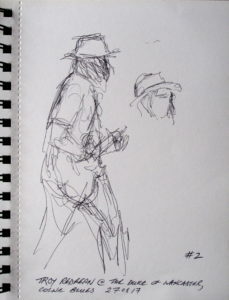 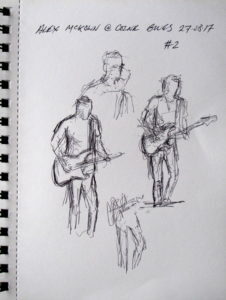 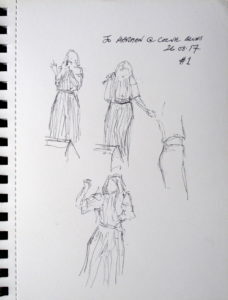 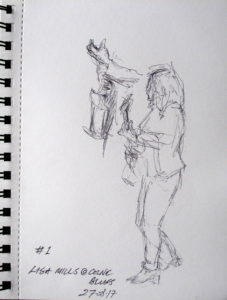 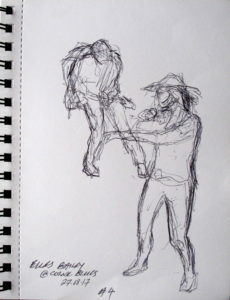 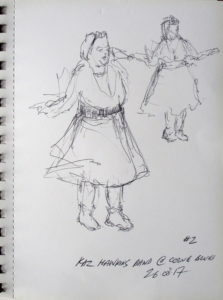 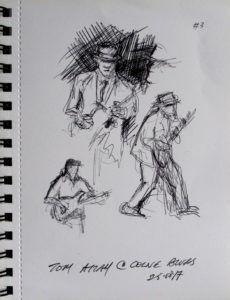 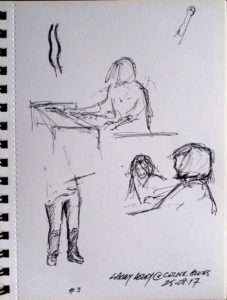 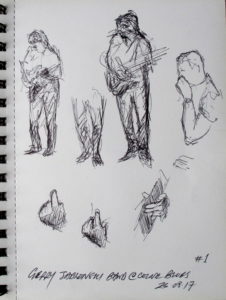 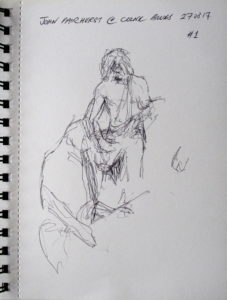 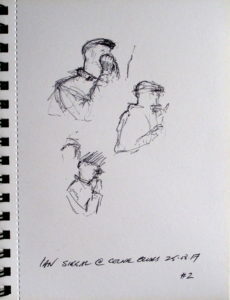 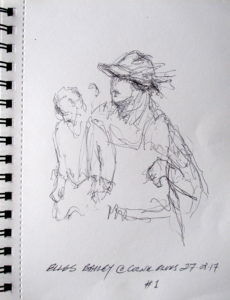 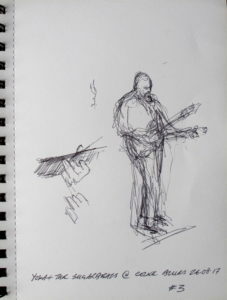 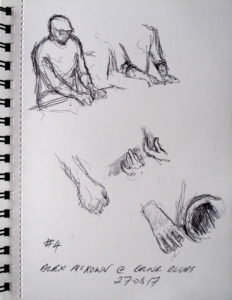 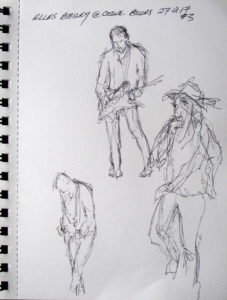 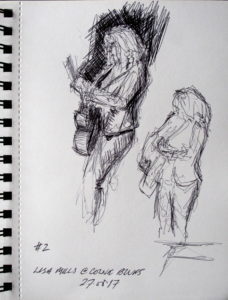 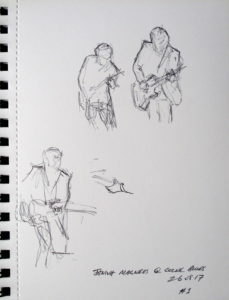 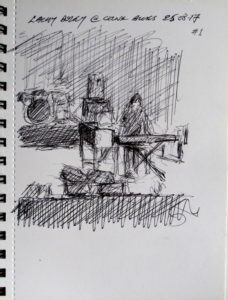 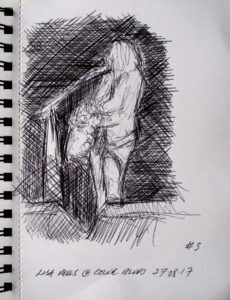 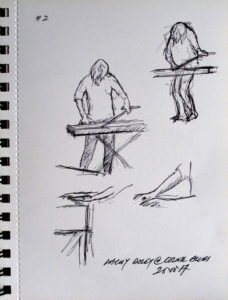 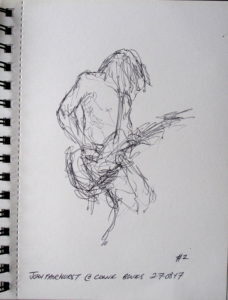 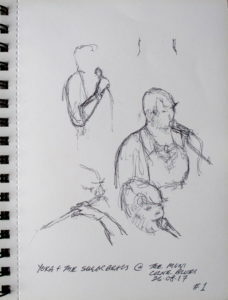 Working in semi-darkness and the inherent challenges of sketching people who are constantly moving in ever changing lighting conditions here are the pages from my sketchbook from Saturday’s excellent variety of musical talent.